Steve went back to work last Wednesday and I'm not sure I've ever been as scared as I was on the Tuesday evening. There is no gradual easing into parenthood. One day you're a couple, used to eating when you're hungry, leaving the dirty dishes to pile up and watching three hour films with no greater consideration than whether or not you've got enough snacks to get you through - the next, you're responsible for a baby, twenty-four hours a day and your main topic of conversation is nappy brands. As prepared as we were, it was a big transition for the two of us. The first two weeks post-hospital were spent taking turns at changing MM, preparing her formula and working up the courage to bathe her. Constructing the pram each time we wanted to leave the house turned out to be a two (or, ideally, three) person job. We took shifts getting up through the night. But there were two of us. When one of us was tired, we handed the baby over to the other and we went for a nap. When MM did something new and cute and amazing, we showed each other and grinned together. When her bottles needed cleaned, it was no big deal because there was somebody else around to watch over her. But then Steve's two weeks of paternity leave and one extra week of holidays were over. Suddenly he was heading back to work and I was faced with twelve hours a day of parenting all on my own. Two weeks of paternity leave is not enough. It's too soon for the working parent to tear themselves away from the baby. It's too soon for the staying home parent to feel like they've got this stuff sussed. 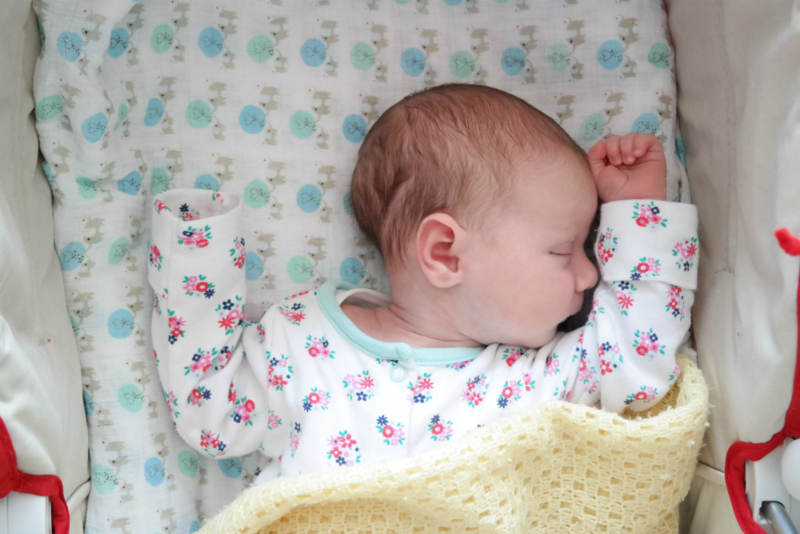 And it's right about the point when many babies switch from a blissfully sleepy newborn phase into a fractious, fussy, sobbing, difficult bit - perfect timing if you like your new mothers stressed out and full of self-doubt. So last Tuesday evening, I really wasn't sure that I was up to this. 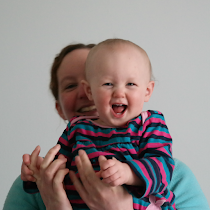 MM had had a couple of very unsettled nights and I didn't know if that was because we were doing something wrong or because she was feeling rotten (the hours spent googling reflux...) or simply because she was having a growth spurt. What if she was always like this? What if my baby cried all day forever and neither of us ever slept? And, even when she was calm and happy, I wasn't sure that I knew what I was doing. Did I have twelve hours' worth of patience and nursery rhymes and nonsense chatter in me? Was I under or overstimulating her? Who could I turn to if something went suddenly wrong? There were anxious tears. It was one thing me taking this all one day at a time and slowly getting through it but asking MM to take an incompetent parent one day at a time seemed cruel. I wondered if the wrong parent was staying home. I honestly didn't feel like I could cope. But Wednesday went really well. Wednesday turned out to be calm. MM slept a lot; I got several little jobs done; feeds were laidback and lovely. All was good. Thursday less so. Thursday I found myself crying over a crying baby; Thursday a friend with lots and lots of experience paid me an unplanned, semi-urgent visit specifically to calm me down. Thursday I was convinced that I flat out Could. Not. Do. This. And Friday was somewhere in between. And so things have been since then. Peaks and dips. Floods of love and contentment when she's curled up on my chest, clinging to me, her mother, her place of absolute safety. Floods of tears and despair when she's writhing around, cranky, feeling overwhelmed by the hugeness and newness of the world. Moments of panic when I see her wriggling in her crib, slowly waking up. Moments of joy when she coos or gurgles or does something approaching a smile. Some of it comes naturally to me. The soothing voices and the silly songs and the bouncing her to sleep happen without any thought. Some of it is the result of anxious research. Colic remains a dark, traumatic mystery and gripe water a magical potion. But the scared, anxious, despairing bits get a little shorter and a little less severe every time. The calm, secure, semi-confident bits are becoming more frequent and more prolonged. She's starting to wriggle beside me right now, throwing her arms around and making a high pitched sound like a boiling kettle. I know I have less than ten minutes until she wakes up wanting some food. And the knot of tension in my stomach isn't that tight. I can cope with this - or, at least, I think I can. Now, if you'll excuse me, [I'm fairly sure] my daughter needs me.